Last week, the ESA released unprecedented images of a long, meandering river on the surface of Saturn's moon Titan. Most likely the river flows with ethane or methane, and might be slightly viscous like oil. 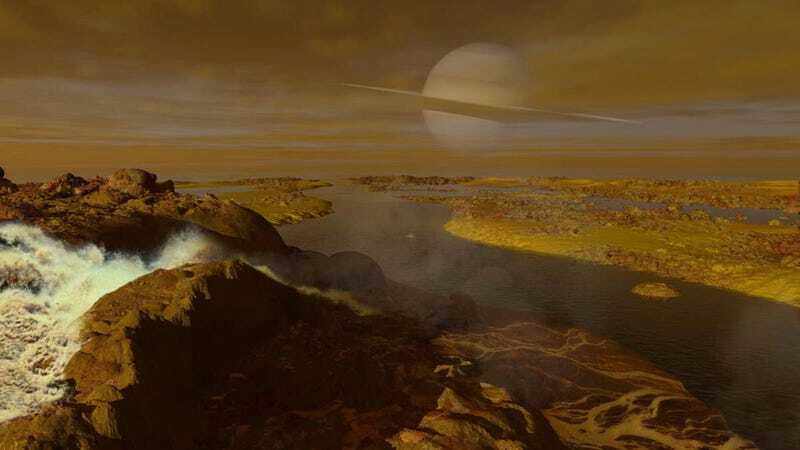 Now, space artist and io9 contributor Ron Miller has created these gorgeous up-close visions of the river from Titan's surface. Here's a view of the Titan river from its edge. Click to enlarge. And here's the full glory of the image excerpted above, which shows a Titan river delta. Click to enlarge. See more of Ron Miller's amazing work on his website.